A little gray elephant trunk tied with a pink ribbon adds some whimsy to these Don't Forget stickers. 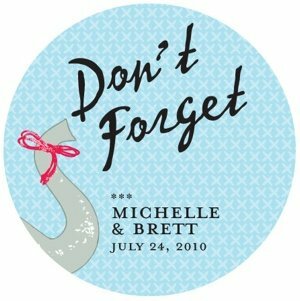 They can be personalized with up to 3 lines of text. 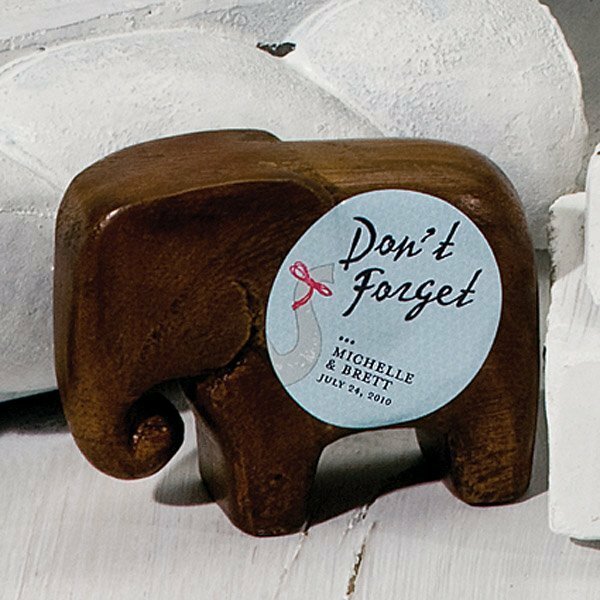 We suggest using them on any of our elephant themed favors OR add them to a little gift that you send out to save the date for your wedding. They are sure to get a smile! Min order is 36 stickers.